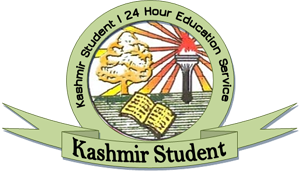 University of Kashmir’s postgraduate programmes have always been a favorite among the valley youth. The MBA and MFC programmes offered by the University are some of its popular programmes. Thus, a large number of students compete for the few seats available in these courses of study. Through its notification dated 25th December 2011 (published in local dailies), the University has announced that it will shortlist students for these two courses on the basis of their performance in the CAT or MAT (February and May). Earlier, the University used to conduct its own entrance test for these programmes. But, in a significant decision, for the academic year 2012-13, the university will consider only CAT and MAT scores for these programmes. With just about 60 days left for the MAT May 2012 (which is being held on 6th May, 2012) students now need to be very focused in their preparation for MAT. The MAT paper comprises 200 questions and students have 2 hours and 30 minutes (150 minutes) to complete their paper. The paper is divided into 5 sections, namely Language Comprehension, Mathematical Skills, Data Analysis & Sufficiency, Intelligence & Critical Reasoning and Indian & Global Environment. There are 40 questions from each section and incorrect answers will be penalized. The MAT score card displays a total score achieved by the student on the basis of the student’s performance in the first 4 sections and also a separate score on the basis of the student’s performance in the Indian & Global Environment section. 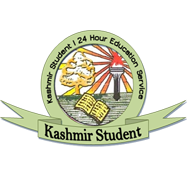 The University of Kashmir will consider only the total score obtained by candidates on the basis of their performance in the first 4 sections. Therefore, candidates must not waste their time in attempting the General Knowledge section. Instead, they should devote their entire time of 150 minutes on the 160 questions in order to increase their composite score and thereby improve their chances of getting selected to a top MBA program. The pattern of individual sections needs to be studied carefully. The Language Comprehension section has questions primarily from Reading Comprehension, Vocabulary and Grammar. For reading comprehension, different passages are given and 4 questions are asked per passage. Questions on vocabulary are in the form of antonym/ synonym and odd word out types of questions. Grammar is usually assessed through sentence correction questions. Along with these, questions on paragraph jumbles and paragraph summaries are also asked. The Mathematics section relies heavily on questions from arithmetic. Nearly 75% of the questions in this section are from arithmetic itself. A good grasp of Std. 6 to Std. 10th level mathematics is sufficient to correctly answer these questions. Along with these, questions from Permutation and Combination, Probability and Mensuration are also asked. Data Analysis questions typically only require the most basic mathematical skills. The challenge in this section is that numbers are given in the form of tables, charts, graphs, etc and the student needs to figure out the numbers from these. The reasoning section has questions from both verbal and analytical reasoning. These questions only require good common sense and lots of practice in order to solve them quickly and accurately. This is the pattern of the MAT paper. So now that you know the pattern of the MAT, start your preparations and make your dreams come true. The author is Academics head CL Srinagar and can be mailed at cl.srinagar@careerlauncher.com or call at 9596585003, 2310577 or 2310703.